Are you interested in growing your leadership skills or building on your business acumen in a supportive, collaborative environment while influencing the direction of IABC/BC? Then consider joining our 2018/19 board. Yes, it’s that time again! When we start to think about the next chapter year and as your incoming president, I am excited for my turn to take the helm as president of IABC/BC for the 2018 – 2019 term. I started getting involved with IABC/BC in the summer of 2016, and if you had told me back then that I would be your vice-president today, it’s unlikely that I would have believed you! Being part of IABC/BC and the board of directors has been a fantastic learning experience. I am glad I said yes. I am incredibly honoured to have the opportunity to lead such a vibrant and dynamic community of communicators. As we open the call for nominations for 2018-19, I want to share with you the reasons why I think you should consider joining our board this year – and ultimately why I said YES! The greatest thing about IABC is the opportunity to make lifelong connections. On the board, there are many opportunities for team building and collaboration, not only locally, but also at a regional and international level. I have met and collaborated with many inspiring and accomplished individuals since I said yes to a board role. 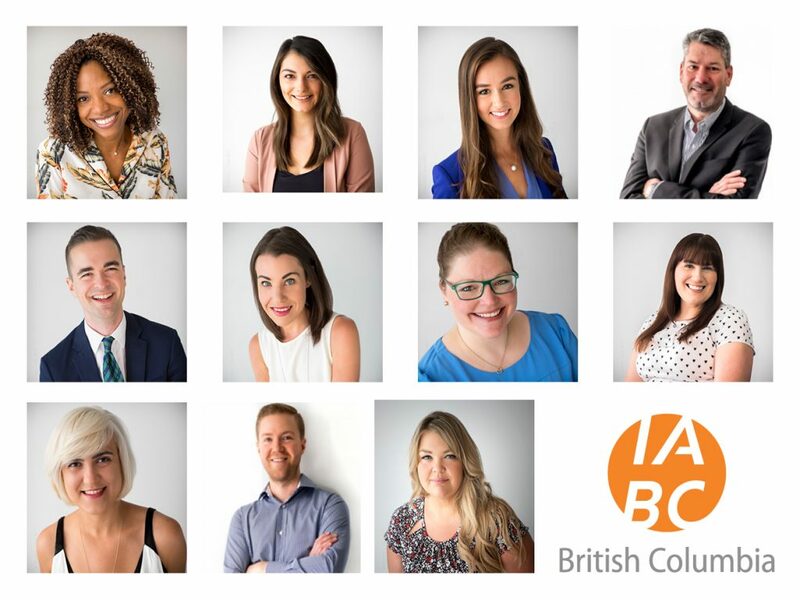 By joining our board, you will be part of a passionate and talented team committed to both IABC/BC and the local communications and marketing community. Joining the board of directors is a great opportunity to develop or enhance your existing leadership skills within a safe, supportive and collaborative environment. We couldn’t do any of the work that we do, or offer any of our programs or events, if it wasn’t for our amazing volunteers. From marketing, events and membership, to certification and mentoring. Behind every portfolio is a team of dedicated volunteers led by our directors. Communicators and marketers alike need to understand the operations of the companies that they work for in order to add real value and get a seat at the table – especially as we move up the career ladder into management positions. By joining our board, you’ll learn how an association operates and ultimately be part of running a non-for-profit business. As a director, you will have accountability for your entire portfolio (including overseeing a budget and understanding our financial procedures), and an opportunity to influence what we offer as a chapter in the months, and years to come. There are many opportunities to hone your skills in a number of exciting areas within a 14-person Board. Opportunities such as membership, career development, special interest groups (SIGs), marketing and communication, and events. As we participate in a formal strategic planning process, you will gain strategy skills to ensure we are reaching strategic goals focused on chapter growth, innovation and diverse programming for our members. This year, you will be able to contribute to the 2018-2021 vision for the chapter as we establish a new 3-year strategic plan. By working with a diverse group of communicators and marketers, you will be constantly learning from your peers. The world of communications is always evolving with an increasing emphasis on technological advancements and digital practices. With 24/7 connectivity in daily technology platforms to add to your communications mix and digital marketing trends to be aware of, it’s crucial that we keep on top of changes and be at the forefront. Joining our innovative, award-winning board is one way to do this. We have close ties with IABC at a regional and international level and have our own local professional development opportunities, making it easy to stay on top of trends – and meet local subject matter experts too. As a passionate digital marketer myself, a key focus for me is to ensure that we all have the tools, and expertise that we need to be successful as we navigate constant change. IABC/BC is one of the largest chapters in the world and is recognized internationally for its innovative programming. We have won several Chapter Management Awards (an annual global awards program for all IABC chapters – held to the same evaluation standards as the Gold Quill Awards program) including two at the most recent CMAs in San Diego, CA for Communications Management and Financial Management. Want to be part of an award-winning chapter on your resume, and contribute to winning our next awards? Then I’d love to hear from you, and maybe the coveted International Chapter of the Year Award could be ours! British Columbia, and Vancouver in particular, is a competitive market. Volunteering for IABC/BC, especially in a leadership role will help make your mark in the local community and build your reputation as a stellar communicator. Plus, this will be a great way to strengthen your network significantly as you demonstrate the great work that you do. Since moving to Vancouver in May of 2016, I can attest that my network has grown rapidly due to my active involvement in IABC/BC. If you have any professional skills you want to develop more, volunteering for IABC/BC is a safe way to do so. Personally, I am shy of public speaking; just the thought of speaking in front of a crowd can make me feel a little nauseous. I couldn’t think of a better environment to face my fear head on and work to become a more confident speaker over the coming months than the IABC/BC community. Feel the fear but do it anyway! What skills would you like to gain more confidence in? Last, but not least. If you are passionate about helping other communicators grow their careers, a board role is the perfect opportunity for you to give back. Mentor a team, lead a portfolio, and help influence your profession by shaping the programming and activities that we offer. Plus, working at the chapter level can open doors to becoming involved at the regional and international levels. Trust me, it’s extremely rewarding and 100% worth it! I am grateful every day that I was given the opportunity to be part of the IABC/BC board, and I hope you will consider joining our rockstar team! All IABC/BC members are welcome to submit a nomination form for a position on the board of directors. Learn more about our board roles and the application process. If you want to chat more about the opportunities on the board, you can email me at vicepresident@iabc.bc.ca, or connect with me on Twitter (gemstars81) or LinkedIn. Interested in volunteering but maybe not at the board level? No problem. We are always looking for volunteers. Whether you are interested in working with a director to manage an aspect of a portfolio as a portfolio manager, want to just help out with an event, or only have a few minutes to spare on an ad-hoc basis, we would still love to hear from you. There are always positions available if you would like to get involved with our chapter. Apply for a role on our opportunities page or email volunteers@iabc.bc.ca.